Red Phoenix Construction focuses on building high quality new homes, additions, and complex renovations. We employ are own skilled carpenters. Our specialties include complex technical framing, detailed exterior trim & siding, interior finish carpentry as well as heavy timber framing. We also take part in historical renovations. Kitchens, bathrooms, porches etc... Full Service Contracting, Craftsmanship and building lasting relationships to your home or business. One point of contact handling your property for you with quality contractors and personal service. We are full service home building and remodeling company. We specialize in new homes, in-law additions, home additions, kitchens and bathrooms. Please contact Ryan Norman if you are looking for top quality work, a well managed project, and a responsive, professional builder. Founded in 1984, Maine Coast Builders (MCB) is widely recognized as one of the top builders of high quality homes in Northern New England. While the majority of MCB’s projects have been residential, the company also has undertaken historic renovations, residential additions, commercial kitchens, restaurants and specialty shops. Each individual project demonstrates MCB's commitment to excellence. Jeff Jones, President of Maine Coast Builders and a Maine native, is a master home builder, cabinetmaker, and experienced general contractor. Jeff’s attention to detail, his ability to organize the complex demands of housing construction, and his high standards of workmanship all have contributed to the creation of some of the most beautiful homes in the region. Jeff creates a partnership with the client and the architect to insure clear communication and effective project management. The result is exceptional customer satisfaction. For Beverly Cove residential home builders who also act as developers, the job starts well before the first nail is driven. They perform local market research to determine whether the prospective homesites make sense in the Beverly Cove, MA market, as well as survey the land on which the house will be built to make sure it is suitable for construction. Custom builders also obtain the necessary permits. 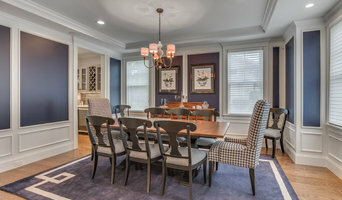 A good custom home builder in Beverly Cove, MA has skills that go far beyond construction — he or she must supervise subcontractors and artisans; keep tabs on local zoning regulations, building codes and other legalities; inspect work for problems along the way; and perform dozens of other roles that are essential in building a quality house. Here are some related professionals and vendors to complement the work of home builders: Interior Designers & Decorators, Landscape Architects & Landscape Designers, Architects & Building Designers, Kitchen & Bath Designers, Specialty Contractors. House builders are responsible for ensuring that the home-building project sticks as closely as possible to the specified timetable, particularly in the event of change orders. 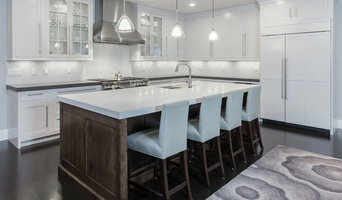 Custom and luxury home builders in Beverly Cove, MA also need interpersonal skills to deal with clients of all types, soothe frazzled nerves, negotiate conflicts and resolve problems. Find custom home builders in Beverly Cove, MA on Houzz. 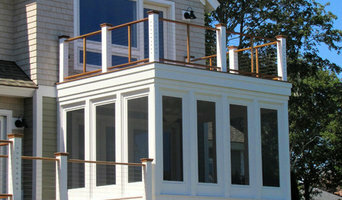 Narrow your search in the Professionals section of the website to Beverly Cove, MA home builders. You can also look through Beverly Cove, MA photos to find a house you like, then contact the builder who worked on it.